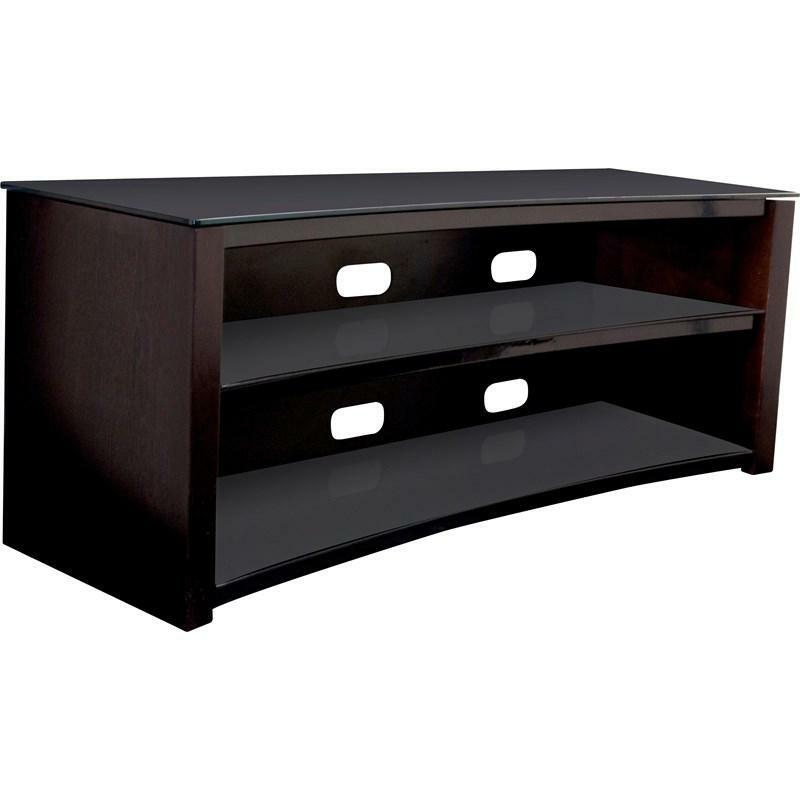 The S54V55B curved wood and glass audio/video stand features wooden side panels, three tempered dark glass shelves with metal support and wire management. Additional Information Modern curved front to match curved TVs; Wooden side panels; Three tempered dark glass shelves with metal support. Additional Shelf Information Additional dimensions(WxD): Top Shelf: 55 x 15.25 inches (139.7 x 38.735 cm), Middle Shelf: 50 x 15.25 inches (127 x 38.735 cm), Bottom Shelf: 50 x 15.25 inches (127 x 38.735 cm); Usable shelf height: 6.75"(17.15 cm)/8.25"(20.96 cm).